Victoria Kimani says "I am very excited to partner with Maybelline NY especially here in Kenya, AFRICA. Not only because of my love for Maybelline products, But for what Maybelline stands for. The brand has always shared my personal view and philosophy as it pertains to my goals..... to "MAKE IT HAPPEN"
Victoria Kimani's has shown her dedication, hard work and hustle in the Pan-Afric music scene and it has really paid off. 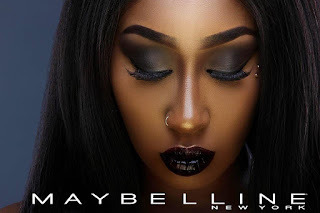 Congratulations Victoria Kimani!